Having problems with your bathroom plumbing? How annoying! Fortunately, the highly trained plumbers at Corley are ready to tackle your problem, no matter how big or small it is. If it’s not working right or it’s bugging you, give us a call today. We’ll figure out what’s wrong, get the parts and the equipment necessary to fix it, and get the repair done so you don’t have to be annoyed anymore. The bathroom has so much plumbing and so many different things can go wrong in your Simpsonville, SC home. Don’t worry, though! We’ll come help you get it all straightened out. Common bathroom plumbing issues include the following. Sink problems. Bathroom sinks get used so much that, eventually, most of them will have some sort of problem. Let us look at your broken sink and diagnose the necessary repairs. We handle all of the following and more. When you’re ready to have a trusted plumber in Simpsonville SC come fix your bathroom, give us a call. Our operators will help find a time when it’s convenient for you to have a plumber come out. 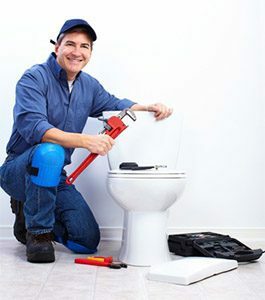 We’ll send one of our skilled people out to see what sort of bathroom plumbing repair you need. Once our plumber has examined your bathroom, they will present you with their findings. This includes a summary of what they saw, what was broken, and how they plan to fix it. They’ll also tell you how much the repair will cost and help you make any decisions about fixtures, etc. Finally, your Corley plumber will get the repair done, bringing your Simpsonville, SC home back into full working order. Our plumbers have years of experience, so they’ve seen it all. No matter how unusual or worrisome your bathroom plumbing repair is, chances are they’ve dealt with it before. Let them come out, assess the issue, and let you know how the repair will happen. They’ll handle the stress so you don’t have to worry about it. And they won’t leave until you’re satisfied!